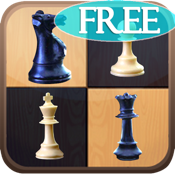 Play "My Best Chess" with your friends and family anytime, anywhere! Access all features with an intuitive menu system. Enjoy a beautiful chess board with nine different piece designs and color schemes - and never lose sight of the captured pieces during your games. Play with or without realistic sound effects.